Jackie’s father even considered selling the baby Jackie to cover the medical costs surrounding his birth. When Jackie was seven years old, his father had to leave him and his mother in Hong Kong and take up a job that was too good pass up, as head cook for the American Embassy in Australia. As a result of this, and Jackie being a bit of a handful for his mother, he was sent to the Yu Jim-yuen China Drama Academy where he spent the next 10 years. Conditions were harsh and the training very hard but it gave Jackie the skills he would later bring to his film work. During the time at the Drama Academy, Jackie and his class mates received parcels from the Red Cross, something Jackie never forgot and indeed in 2006, he became a member of the American Red Cross National Celebrity Cabinet. Jackie’s philanthropy is reflected by his charity work. 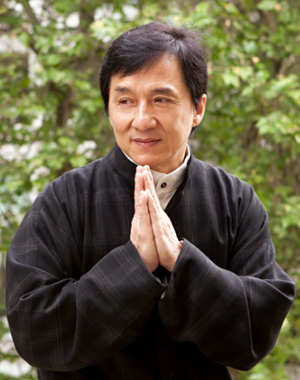 He set up the Jackie Chan Charitable Foundation in 1988 and Dragon’s Heart Foundation in 2004.